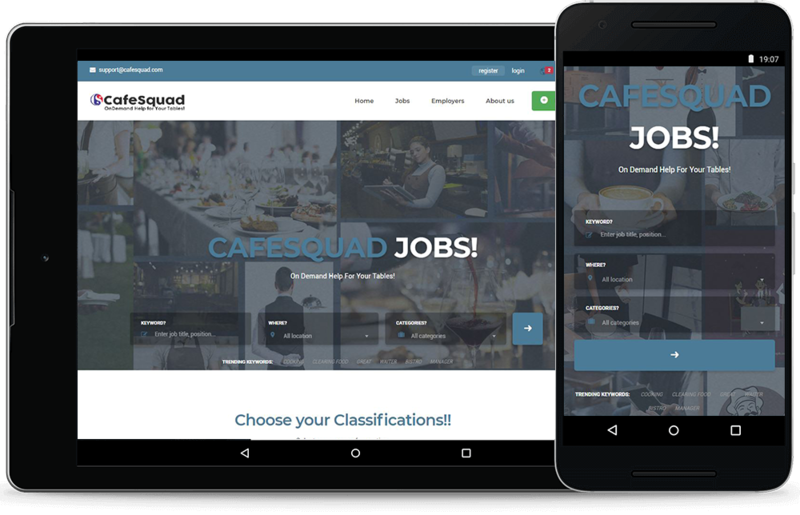 CafeSquad primary solution is restaurant staffing mobile application to meet restaurant short term and instant staffing needs. 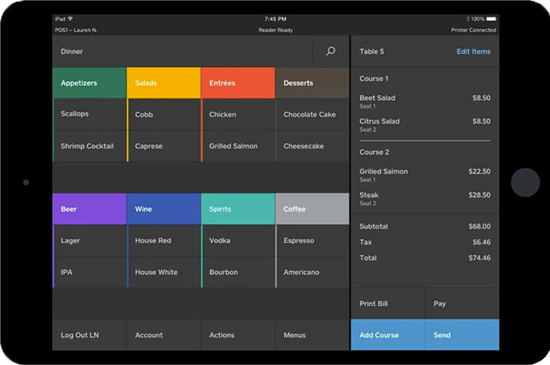 While working with restaurants owner over the years CafeSquad has developed a number of products for restaurants that are customizable for each restaurant owner to manage their business, increase revenue and cut down costs. Built for simplicity, and trusted by more than 2 million businesses globally. The POS that's easy to set up and use. 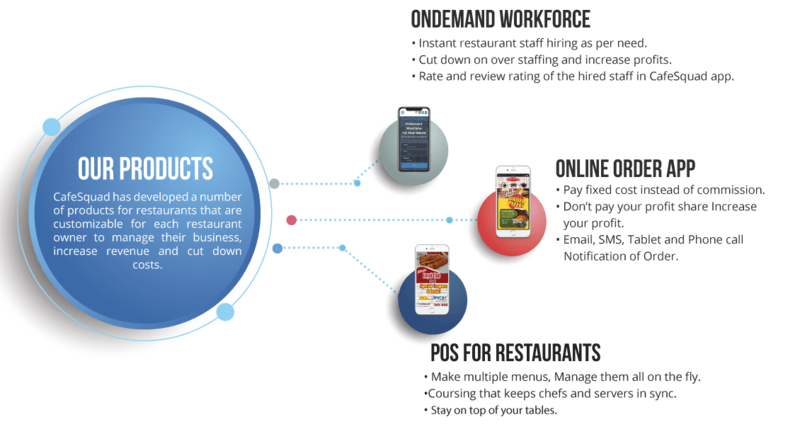 It’s here: our built-from-scratch restaurant point-of-sale platform with software, hardware, and payments that streamlines your whole restaurant operation. It’s built for front of house and back of house. And it’s built for speed. ● Make multiple menus, Manage them all on the fly. CafeSquad staffing app help in instant hire as per need, CafeSquad also train restaurant staff. This is a one step process that can help restaurants hire a delivery staff, waiters and waitresses, chefs and managers. ● Cut down on over staffing and increase profits. ● Rate and review hired staff in CafeSquad app. 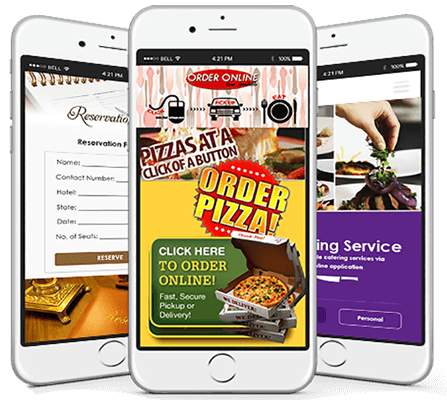 CafeSquad’s restaurant online ordering system is different from other online restaurant ordering systems because our goal is to maximize the restaurant owner’s profits.Online ordering is our main feature and it provides a very low cost and effective online ordering experience. The customer can go to either the mobile app, the website, even the Facebook and place the order. The reservation system, mobile app and website are integrated into dashboard. With this restaurant reservation system your restaurant allows customers to have a complete digital experience. Your mobile application, with your name and business information, not a third party application that just mentions you. We deliver you catering orders whether it's a business catering order for breakfast or lunch or if it's an event at somebody's house for dinner or for a weekend party. Your app will have your location, email, phone, images, blogs, products, services, updates. Everything that you want to present to your clients, fans and customers!